US Vice President Joe Biden has spoken of the deeply personal nature of the trip that he will make to Ireland this week, one that he had planned to do with his late son Beau who died last year. In an exclusive interview with RTÉ and The Irish Times, Mr Biden said the trip meant "a great deal" to him and that he was "incredibly privileged," writes RTÉ's Washington Correspondent Caitríona Perry. He will arrive in Ireland tomorrow for a six-day visit and is expected to take in three counties while here. 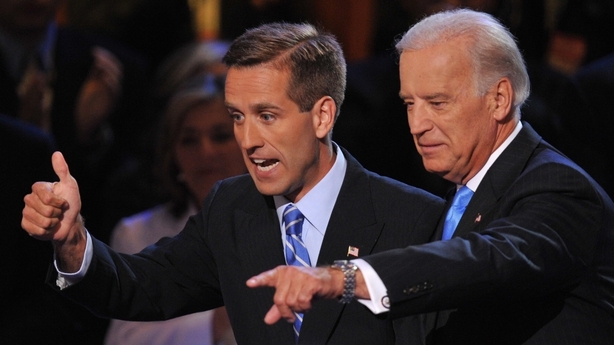 Beau, Mr Biden's eldest son and former Attorney General of Delaware, died in May last year from brain cancer aged 46. He introduced his father at the Democratic National Convention in 2008 when Joe Biden accepted the nomination to be Barack Obama’s vice presidential candidate. Shortly afterwards he was deployed to Iraq for a year, returning briefly to attend the inauguration in January 2009. Joe Biden was first sworn into the Senate in 1973 from Beau's hospital bedside, after he and his brother Hunter were seriously injured in a car crash that killed the Vice President’s first wife and their 13-month-old daughter. The pair had always planned to make a trip to Ireland, but did not get the opportunity before Beau’s untimely death. In the written interview, conducted via email, Mr Biden also described growing up in a household in Scranton, Pennsylvania that was steeped in Irish values. "My grandfather and grandmother Finnegan, all my mother's brothers, and my father told us about the courage and commitment it took for our relatives to emigrate from Ireland — in the midst of tragedy to distant shores, where they didn't know what awaited them. It took great courage," he said. He said those values of "passion and principle, their faith and fortitude" shaped the way he and his siblings were raised. "I feel incredibly privileged to be able to share that heritage and this experience with my brother, my sister, my children, and all my grandkids". He said he often heard his mother say: "You're defined by your courage, and you're redeemed by your loyalty." While his father would say, "When you're knocked down - get up. Just keep moving." He said his mother often reminded him of a "thoroughly Irish sentiment" when she would say: "Joey, no one is better than you, and every other person is equal to you and deserves to be treated with dignity and respect." He said the visit meant "a great deal" to him because it was where his ancestors had emigrated from "seeking a better future" and "now their great-great-great grandson is the Vice President of the United States of America". 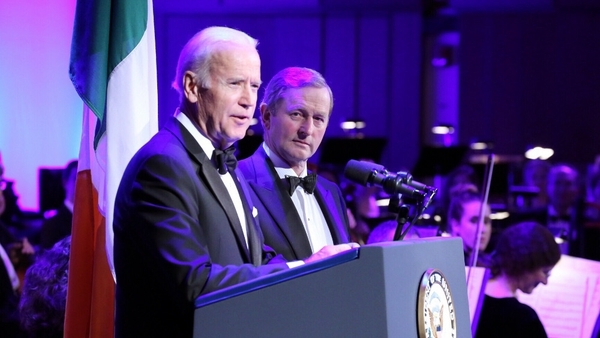 While in Ireland, the Vice President is expected to visit Mayo and Louth. Scranton is an industrial town with a large Irish-American population and is twinned with Ballina in Co Mayo, so a visit there is likely. 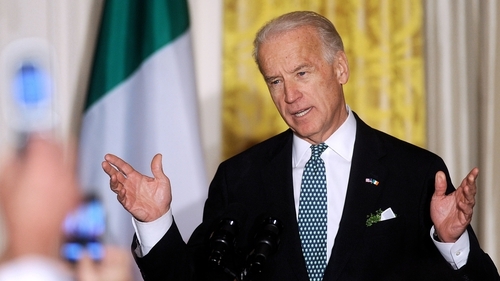 His mother's maiden name was Finnegan, coming from Mr Biden’s great-great-grandfather who is believed to have emigrated from the Cooley peninsula in 1850, while another great-great-grandfather emigrated from Mayo aged 18. 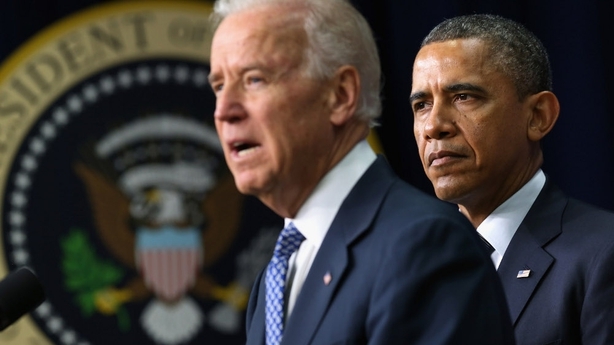 As part of the visit, Mr Biden is expected to visit some of his ancestral home-places. He will also hold bilateral meetings with Taoiseach Enda Kenny and President Michael D Higgins, which a spokesperson said would involve discussions about trade and other ties between the US and Ireland, as well as the Northern Ireland peace process and European security. 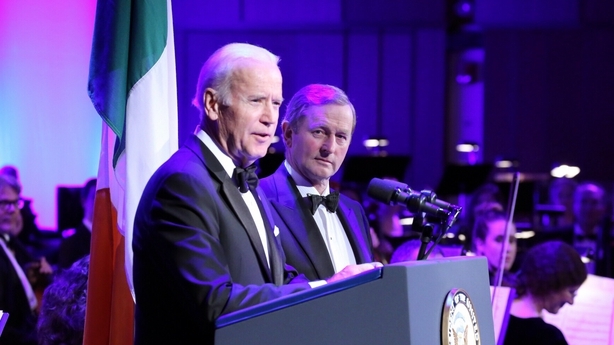 The Vice President will deliver a keynote address in Dublin on Friday, touching on subjects including "the Irish-American experience, the shared heritage of the two nations, and the values of tolerance, diversity and inclusiveness", said the spokesperson.